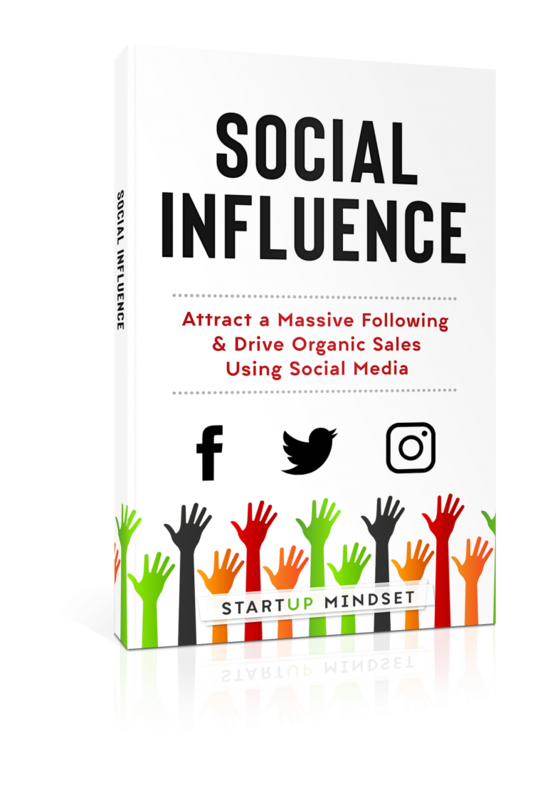 The following is a sample chapter from our new book entitled “Social Influence: Attract a Massive Following & Drive Organic Sales Using Social Media”. I remember thinking to myself that I’d be happy if StartUp Mindset reaches 3,000 followers on Twitter. We had been doing well on Facebook and had been growing at a decent rate. I put all of my energy into trying to build a large Facebook following. It was 2014 and I was still working in finance and was running my personal blog part-time. But since I had started online businesses before and had already validated the idea of StartUp Mindset, I put all of my energy into growing the following. I tested content, interacted with everyone who engaged with the page, and experimented with Facebook page boosts to gain visibility. My hard work was paying off as we were growing at about 500-1,000 likes a month. This was awesome because Facebook was a known traffic driver and people on the platform seemed to be interested in StartUp Mindset and our business philosophy. Then things changed for the worse and it wouldn’t be the last time. Facebook made to decision to change their algorithm. This would be the first of many that would affect publishers and is still something we anticipate happening more frequently as the platform continues to mature. This particular change made it harder for me to reach the 5,000 or so followers that liked the page to that point. I was still reaching about 80% of my audience so I was still satisfied with the engagement. But, I have always been someone who likes to look at what is coming, not what is here. I knew that more changes were coming and I needed a backup plan. I needed to not put all of my eggs in one basket and rely on one single referral source. I first thought Twitter would be a good option. But I did not really understand Twitter’s power and thought that there was too much noise. We already had the profile set up but if you were to see it you would have thought it was abandoned since the only tweet was several months old and read “StartUpmindset.com launching soon”. I also looked at Instagram, Pinterest, and social bookmarking sites such as StumbleUpon, Digg, and Reddit. From my personal blogging experience, those platforms had the power to drive a lot of traffic to any site if a piece of content caught fire. However, I doubted my ability to build my own community around those platforms (excluding Reddit). I decided to go back to Twitter. It was the next logical choice for us since we would be sharing content frequently. So for a few weeks, I spent hours on Twitter. I began following people, tweeting motivational tweets and retweeting. The profile gained a few followers but nothing to get excited about. I still held on to the idea of using the platform but I didn’t really know how to yet. Months later, we officially launched Startupmindet.com. Our Facebook fans loved it! We were not only sharing other informational articles but we also had our own points of view. The engagement was high and the following increased. We were still reaching 80% of our audience so I was satisfied with that. I even got a little comfortable with the idea of using Facebook as our primary traffic driver. Then, it happened again. Facebook decreased our reach. I knew it was coming and that’s when I saw the truth: algorithm changes are inevitable and I could never rely on one single platform. This means that anyone who wants to have a consistent pool of leads should never rely on just one source. Just like all good businesses diversify their revenue streams, you as an entrepreneur shouldn’t rely on a single referral source. 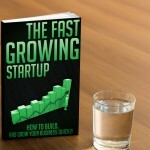 On StartUp Mindset I had the opportunity to interview Susan Packard. Susan is the Cofounder of HGTV, the massively popular cable network that, in 2016, overtook CNN as the third most-watched cable channel in the United States, behind Fox News and ESPN with an estimated reach 95,628,000 households. Packard Cofounded Scripps Networks Interactive and they were responsible for starting and growing digital brands like HGTV and CNBC. Starting a cable network during the 1990’s is comparable to starting an online media network today. With everyone trying to get everyone else’s attention, your strategy has to be stellar and your execution precise in order to come out on top. Many networks came and went during those times but a few of them had staying power. The networks developed by Susan and Scripps were among the few that did. One of the keys she mentioned when launching the new network was communicating with your audience in as many ways as possible. That means being everywhere they are and knowing what is going on in their lives so that you can provide assistance or serve them in some way. This was the same thing I realized with the whole Facebook algorithm slap-in-the-face. I knew that even if I couldn’t duplicate the growth on Twitter, I should be diversifying our reach as well as having an alternative way of staying connected with our audience. Little did I know that not only would we recreate the hyper growth on Facebook, we would surpass it by several 1,000%. We announced that we were launching our Twitter profile in February of 2016 on our Facebook page. We noticed a few faithful Facebook followers came over to Twitter to follow us. But for the most part, we saw very little excitement around our Twitter launch. To be honest, I wasn’t that excited either. I liked Twitter for personal use but really didn’t see how we could stand out in any real way. The early lack of enthusiasm our followers showed us by not joining us on Twitter did not help my skepticism. 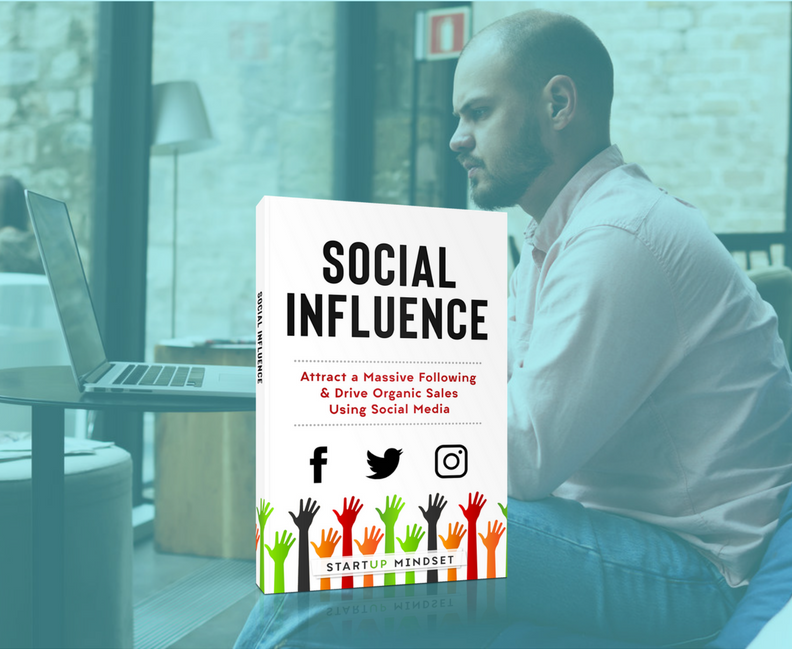 What I would learn later (and what you will learn later too in this book) is that just because your current followers don’t rush to your other platforms doesn’t mean they don’t care about you. It just means that they don’t want to leave their current platform. When someone is using a social media app, they are expecting an experience. Even if they don’t know what that experience is, they expect a certain level of satisfaction. When users of Instagram are scrolling through the images and stories, they are looking for visually appealing content. Trying to drive those users to Twitter which is largely text-based, is asking for a lot for a casual fan of your brand or business. Convincing 8,000 people to leave their current platform in order to join another platform without incentive is ridiculous. Most followers of a brand expect the brand to publish the same content across multiple platforms. I mean, why would I follow a platform that posts the same thing on across all of their feeds? It makes more sense to me pick one platform and follow there unless I know that I don’t want to miss a discount, piece of content, or update. Things changed for us when I realized that we needed to enter each platform as if we had no following at all. We had to learn the language of each platform and become a part of the DNA of each individual social media platform. We had to find out what worked for each. Once that happened, we could keep building our audience until the new account had a personality of its own. We could then incentivize our other followers to join us on the adjacent platform for things they would not get on the current platform that they engage with us on. For example, we tweeted about 5 times per day on Twitter in the beginning. But what we shared on Twitter was different than what we shared on Facebook. We had polls, images, and more content. When we asked our followers to join us on Twitter, we added a screenshot of our feed and told them in the description of the things that we do on Twitter that we don’t do often on Facebook. That added some sense of intrigue to our Facebook feed since our followers on Facebook would see that Twitter is a whole other world. And if they liked us on Facebook, they would love us on Twitter. Even though we did all we could to drive our followers from Facebook to Twitter, I knew it wouldn’t be enough. I knew that we would have to work hard to make Twitter work for us. After all, not everyone that is on Facebook wants to be on Twitter and vice versa. Later on in this book, we will tell you more about our Twitter strategy so we’ll leave a lot of that information until then, but you should know that it was a daily commitment to engage on Twitter. At first, I spent 3, 4, and sometimes 5 hours a day interacting with people on the platform. I made sure that I tweeted, retweeted, followed, and liked as much as I could. 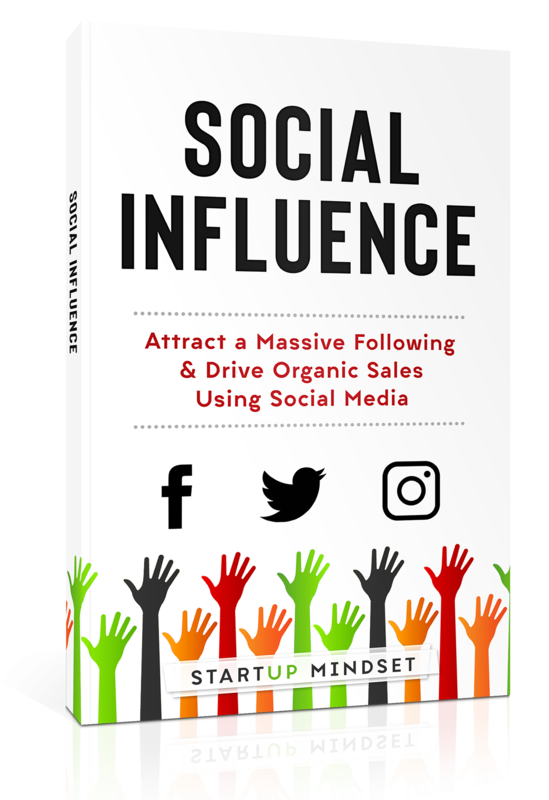 Once I got a system going, I was able to spend about 1 hour a day on the platform and would still see a spike in following and engagement. Slowly the traffic started to increase, 3,000, 5,000, 8,500 and finally 10,000. I was stoked that we had finally reached 10,000 followers. And it wasn’t slowing down. A few influential profiles retweeting our content and actively engaging pushed our following above 25,000. The Good news, then the Bad news, and then the good news. The good news was that our Twitter following had finally passed our Facebook following and there was no slowing us down. The bad news was we were not seeing a lot of traffic from Twitter. Not as much as what we expected. But we were seeing something else; influence. The one thing about Twitter is the fact that you can connect with just about anyone. What we began to notice were the opportunities that came from the amount of reach we had. The reality was, just because we didn’t get a click thru, didn’t mean we weren’t influencing. Once we had a respectable following, and a non-follower retweeted or liked one of our tweets, we did our best to engage with that follower. We would retweet one of their tweets, follow them, or comment on something they posted. At the time we were getting around 30,000-50,000 impressions per month. This was great for brand awareness. The more our brand was being viewed, the more our following increased. Being retweeted often by our followers helped us gain the attention of others. Of course, we had to make sure that what we posted was quality and worth checking out. It was crucial that we did not tarnish our reputation by being spammy. 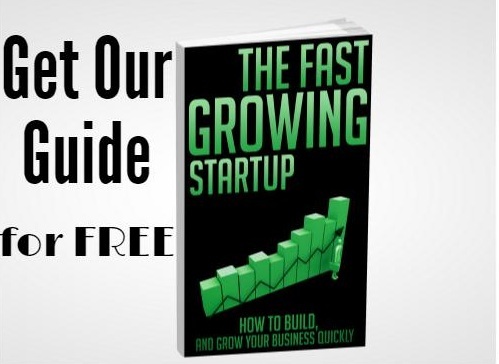 Imagine your brand, logo, or product being seen 50,000 times a month…for free. That was the amazing thing about Twitter, we spent $0 on Twitter ads. No doubt I think they would help our brand awareness, but we figured out a way to grow our following without having to utilize the tool. The reach that we had helped us partner with other media outlets and I was asked to be interviewed on a few online podcasts. These opportunities would not have happened unless we dove straight into the Twitter world. There were several other strategies we attempted during our climb to 100k. Some worked, some didn’t. We will tell you some of what worked. The spike in Twitter following came at the right time as we continued to see a drop in Facebook reach. Our following on the platform also slowed. 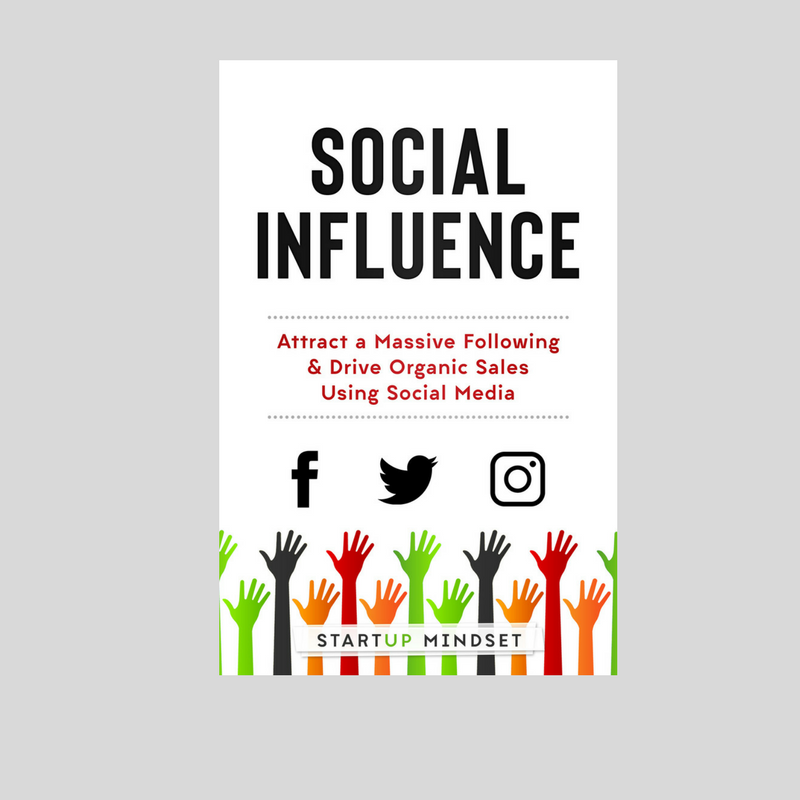 We had about 9,000 followers (which we later learned that 9,000 followers was more than enough to maximize our business) and we were reaching less than 40% of them with each post. Surprisingly, Facebook still brought in a decent amount of traffic even with the drop in reach. Building our Facebook following was definitely worth it. We still invest time in posting quality content on our page and the page continues to grow. When our total following was over 100,000, I couldn’t believe it. Around the 50,000 follower mark, I wanted to cross the 100k to see what impact it would make on our media business. Here are some things that happened on the way to 100,000 followers. 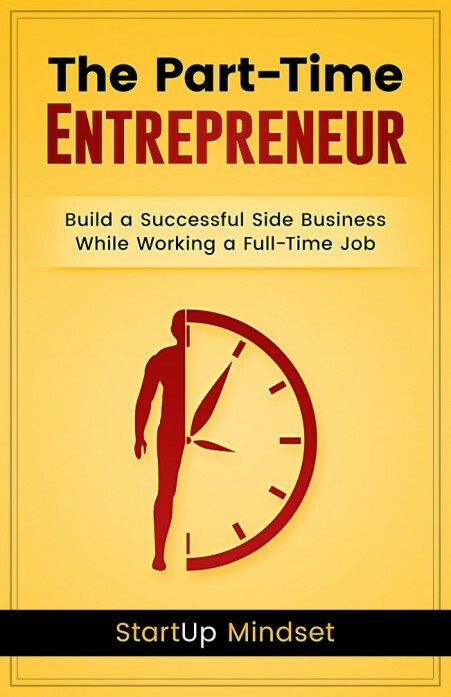 Buy and start reading now! Attention-One of Gary Vaynerchuk’s favorite phrases is “attention is the currency of business.” In our case, this was absolutely true. When our following grew, the amount of attention we commanded grew. This reach allowed us to ask questions of more people and develop a better product (content) for them to consume. If you are trying to sell a product or service and no one is buying, you must find out why. Having access to a large audience allows you to test and ask for valuable feedback. The more people in your following, the more diverse input you will receive. We also began getting attention from other media platforms. Partnerships-Partnership opportunities with influential people and businesses began to present themselves. For example, one of the early partnerships that proved beneficial for both parties was our collaboration with SWAAY Media. The media platform was founded by Iman Oubou, who was crowned Miss New York in 2015. Along with being a pageant winner, Oubou is also a brilliant entrepreneur. She reached out to me in order to establish a syndication partnership that helped us reach a new audience, and we provided quality content for their platform. Expanding our Team-When I first started this site, I looked to build a team, but that is hard when you don’t even have a viable business. Even finding writers for the site was difficult. With the increase in following and influence, we started getting approached by writers, administration assistants, and others wanting to join our team and what we were building. Increased Revenue-We’re a bootstrapped startup, meaning we did not take outside investments. I’m not a big believer in venture funding as a goal. So it was important that we were cashflow positive as soon as possible. With the increase in following came the increased revenue opportunity. The increased revenue began to slow our cashburn, and quickly helped us reach profitability. What is important to note is that these things started happening when our overall following was under 20,000. We didn’t need to be at 100,000 total social media followers in order to begin to see these benefits. But as we kept on growing, the frequency of these opportunities also increased. Do you Need 100,000 Followers? I don’t believe you NEED 100,000 followers in order to grow your business. “Massive” is a relative term. As I mentioned earlier, we started seeing benefits much earlier than our 100,000 total and continue to see benefits as we are closing in on the 250,000 follower total. But you DO NEED FOLLOWERS. Without followers who care about what you have to say, your influence is limited. And your competition, who has access to your customers, may get a leg up on you. Sure, you don’t necessarily need 100,000 followers or even 50,000. But why not reach that high? Why not try to reach, influence, and touch as many people as possible? If you believe that you have something of value to offer to this world, why not offer it? If you have thoughts, opinions, a mission, or a cause that you are passionate about, why not create your own community of people who want to hear what you have to say? As a team, we hold certain values. You can see those values in the articles we write. So even though we are a part of a business, we use the platform to help spread those values to our followers. You can do the same.